Social media marketers are in job protection mode. Or at least that’s what it looks like from a recent study of their beliefs and attitudes. 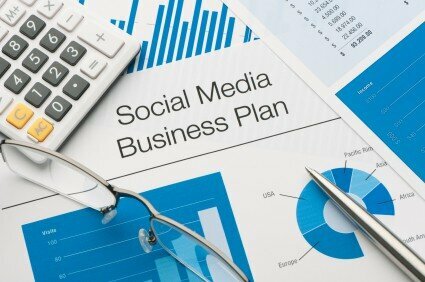 It appears that most of the social media marketers questioned think that their work is important to their business. Yet only just over a third of them fully agree that their work should be measured against the company’s bottom line. No activity in a business should happen unless it impacts positively on the bottom line. Otherwise it defeats the whole point of being in business – to make a profit. If social media marketers are getting lots of “likes” or “followers”, that’s great for their ego, but if the costs of doing so are not met by income generated from that activity, then it is a waste of money – no matter what those marketers might think. Just because people love your brand, does not mean they spend money with you. After all, if you were surveyed you might say you admire the brand Ferrari, but have you bought one? Loving a brand and having a positive attitude to it is not the same as contributing to the company’s bottom line. Neither is having lots of followers, likes or retweets. It is all just numbers for numbers sake. What matters is whether those numbers contribute to the profits of the business. Social media marketers might not like it, but that’s the only true way they can protect their job – proving that their work makes money. Many social media managers cost the company lots of money. And the company only has the hypothesis to go on that “it must be helping us – after all look at all these likes”. The study revealed part of the problem. Social media marketers do not really know how they can get their work measured to prove their value to the business. Indeed, they agree this is their “number one” problem. Rather than spending time on thinking up new ways of getting followers, or creative ideas for Facebook pages, perhaps it is time for social media marketers to start working out ways in which their work can be accurately measured, showing their contribution to the bottom line. That would involve complex tracking methods, for instance, to prove a purchase was made as a result of social media. Or it could involve calculations of money saved as a result of social media – the contribution of social media marketers does not necessarily have to be about sales, it could be about cost savings that therefore create improved profits. Much social media usage is based on theory and assumption. If you want to be sure it really adds to your company’s bottom line, it is time to start measuring it – properly. It’s rather unfortunate that this is still a talking point. The issue of measuring ROI of social media stuff (in a marketing context) has been discussed for years now, and this suggests that the marketers are still no nearer to providing an answer. So true Graham. This resonates with much I have been writing and saying for sometime. Similarly ‘There is only one website metric that really matters’. For much the same reason as you explain in your blogpost. Online marketing is about results, so there is little to no point doing anything just for glory. I was always told that rankings (in terms of SEO) are vanity, it is traffic that matters, and that is so true. The same for Social Media, likes are pointless unless they are engaging with your business.